Precious little time to blog of late. Getting ready to head off to Costa Rica on Tuesday, and trying to wrap up a number of odds and ends prior to that, provision for the trip, and STUDY! Cheryl Harner and Jason Larson went around thestate the other day, bird-seeking. Jason is attempting to reach 100 species for January, and helping him reach that milestone was part of the mission. 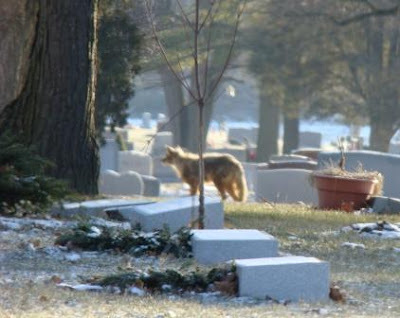 They saw some interesting sights at Columbus's Green Lawn Cemetery, and Cheryl snapped some photos that she was good enough to pass along. Green Lawn (not Greenlawn) is a legendary Ohio birding locale, and has been for a long time. Founded in 1848, it is one of the oldest big cemeteries in the state, and the second largest at 360 acres. Only Cincinnati's Spring Grove Cemetery is larger. A true urban oasis, the green grounds, huge trees, and miscellaneous brushy habitats of Green Lawn support a surprising array of wildlife, considering its location. Birders have been going there for many decades, and the cemetery sports a large bird list, including many rarities. I saw my only Ohio Swainson's Warbler there in 1985, as did many others. CeCe Johnston, in her first year of birding, found that one. Numerous Kirtland's Warblers have been found as well, and the migrant fallouts can be great. So can winter birding. Numerous large conifers can host winter finches, Red-breasted Nuthatches, Yellow-bellied Sapsuckers, and a Pine Warbler has been there lately - not unprecedented at Green Lawn in winter. Star of the show the past two winters has been one, sometimes two, Merlins. These bullet-like falcons are always of interest, and the Green Lawn birds have been normally easy to spot and observe. Cheryl managed this photo of Green Lawn's Merlin. Looks like it's sitting in the thick, gnarly branches of a Kentucky Coffe Tree. Often rather confiding, the bird doesn't seem to mind an audience. 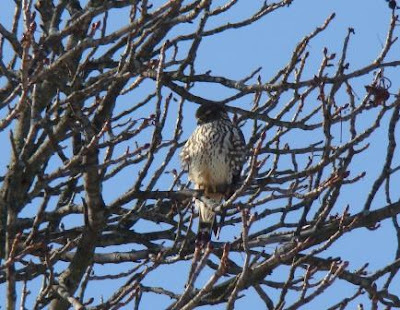 Merlins wintering in urban cemeteries in Ohio are on the upswing, and cemeteries in Cleveland and Cincinnati also host them. The species is becoming more frequent in general in Ohio. 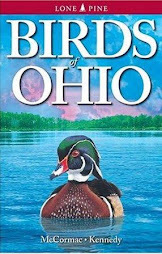 I will go out on a limb and predict that by the end of the ongoing Breeding Bird Atlas, they'll have been found nesting in Ohio, probably in a Cleveland-area cemetery or elsewhere in northeast Ohio. I know, not exactly rocket science, but nonetheless having these little falcons as a part of Ohio's breeding avifauna again would be very exciting. Cherly and Jason also caught a fleeting glimpse of this large dog-like animal - a Coyote. We knew they were in there, as grounds workers report them from time to time and I've seen one or two other photos of Green Lawn Coyotes. Still, they're always exciting to see, and a bit of a surprise in a place like this. Coyotes also have expanded rapidly throughout Ohio in past decades and are now common in all 88 counties. Thanks, Cheryl, for sharing your photos! More info has come in regarding the lineup for this year's Ohio Natural History Conference. 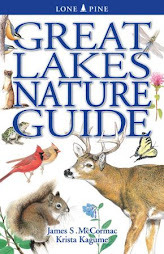 Short presentations will cover ants; the Ohio Breeding Bird Atlas; Emerald Ash Borer; Painted Turtles; crickets, grasshoppers, and katydids in Adams County; Lark Sparrows; and advanced leaf-out in woodlands. Whew - that's a lot of ground to cover, but that's why the conference is titled as it is. I know a number of the presenters and the talks are sure to be interesting. There are also a number of intriguing poster presentations. You'll certainly want to check the one on Diastata repleta. These fascinating, miniscule insects are noteworthy for their consumption of feces. Other poster topics include caves; isopods; logging impacts on mosses; Prairie-dock systematics; and a survey of invertebrates at Dike 14 (famed Cleveland birding locale). February 16 is the date, and the magnificent Ohio Historical Society building in Columbus is the venue. For additional information and to register, go right here. Ohio has a wealth of natural history, and this conference does a good job sampling its varied aspects. Hope to see you there. 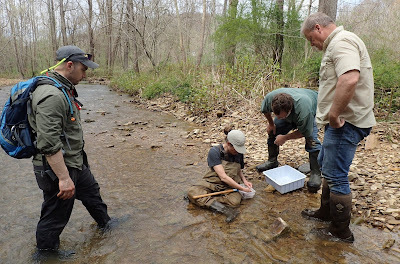 Yesterday the Ohio Ornithological Society hosted a rather massive field trip to the Wilds of Muskingum County. We originally had 135 people signed on, and about 120 folks made it over and endured cool temps and blustery winds. It was cold, but after watching the New York Giants rout the Packers in Green Bay - it hit -4 with -24 windchills there- yesterday didn't seem so bad. First and foremost, I want to thank those people that made this safari possible. Top of the list is Marc Nolls and Cheryl Harner, who really put a lot of thought and planning into this event. Their hard work showed, as everything came off flawlessly. Getting seven different trips launched simultaneously from the same parking lot with everyone organized into their assigned group is no easy feat. Yet, they pulled this off and people were good to go and leaving for the field within ten minutes or so of the rendezvous time. Kudos to Marc and Cheryl. Also, we really appreciate the Wilds making their buildings available to us for lunch and restroom breaks. They've been very good to the birding community over the years. Also, Al Parker, who is their education coordinator, helped lead trips AND gave back to back talks on raptors to each of the lunch groups. Thanks, Al. Finally, big thanks are in order to all of the expert birders that worked with us to lead field trips. Ohio is really fortunate to have a strong birding community with many people that give selflessly of their time and talents, and many of them helped run the show yesterday. In no particular order, that was Dan Sanders, Aaron Boone, Jim & Bret McCarty, Dan Sanders, Glenn Crippen, Julie & Ken Davis, Marc Nolls, Janet Creamer, Cheryl Harner, Bill Thompson, Tom Bain, Jason Larson, Bill Heck, Bob Placier, and Peter King. I hope I'm not forgetting anyone, and thanks to all of you. The bleak winter landscape of the Wilds and surrounding American Electric Power lands. Barren as it may appear, this habitat is fascinating to bird and raptors can abound. We had decent numbers of birds and pretty much all of the usual suspects. These three Rough-legged Hawks amused our group for some time. The two birds that are close together were apparently male and female, and getting a bit frisky. They were engaging in some awesome display flights, where (presumably) the male would dive at her, then they'd both launch into tandem power dives. After dropping rapidly earthward for some distance, they'd pull out, all the while staying just feet from each other. The third bird seemed to be odd man out, staying nearby but not really getting in on any of the action. Althogether we saw perhaps 12 - 15 Rough-legged Hawks, including several gorgeous dark morphs. We checked out a grove of Austrian Pines that were off the beaten path, and found evidence of some pretty heavy owl roosting. No owls, though, but the pellets were pretty fresh. This tree had a ton of pellets and white-wash under it. Short-eared Owls possibly, but I'd be more inclined to think Long-eared Owls, which are more apt to be roosting in pines. And I've seen them in similar situations elsewhere in and around the Wilds. These huge reclaimed strip mine grasslands undoubtedly support more Long-eared Owls than any of us suspect, and searching suitable roosting cover in these sites during the winter would likely turn them up. The group was too large to fit into the Wilds restaurant/gift shop building for lunch, so we went in in two shifts. Our group was in the first shift, and it was nice to have a place out of the cold and wind to eat. Also, Al Parker gave a great program on raptors. Right as Al was nearing the end of his talk, having just gone over eagles, one of our sharp-eyed birders spotted the GOLDEN EAGLE soaring outside the building. Mild pandemonium ensued, and everyone rushed to the windows and were treated to about the best looks you could ask for of this very rare Ohio bird. That's what they're doing in the above photo, and I got too excited to remember to snap a photo of the bird, which I probably could have done. Our group had already been treated to excellent views of this subadult Golden earlier in the morning, and I think everyone that came out got to see one of the apparent two Golden Eagles that is present. This species is a major score in Ohio. About 60 people stayed until dusk, to see the Short-eared Owls. These crepuscular barking beasts can be reliably found at the Wilds, and are best sought right before sunset. We weren't disappointed; a cooperative bird flew nearby the group, and landed in a tree where good looks could be had by all through the scopes. The usual party-closers - first ones there, last to leave. From left, it's Janet Creamer, Jason Larson (played the birder in the Village People :-), Cheryl Harner, Marc Nolls (blue), and Bill Thompson. While we don't usualy recommend standing around rapping on state highways, being on State Route 34o at this point is like being in the middle of an Arizona desert. We stood around looking for short-ears until the sun dropped, and by then it was pretty cold. All in all, a great day afield with lots of good birds. All of the expected raptors were seen and everyone could study them well. The Golden Eagles were a show-stopper, and unusually cooperative. And from what I gathered talking to people, everyone seemed to have a really good time. This is the third Wilds expedition that the OOS has organized, and I expect there will be more. Like distant ships at sea, the various parties on Christmas Bird Counts seldom meet. We might come together in port briefly, usually a Bob Evans, McDonald's, or some other purveyor of artery-clogging grease-spackled chunks of meat or fried flour patties. This usually happens in the early am, prior to debarking. Words of encouragement are offered, hope for great things is uttered ("watch for those Pine Grosbeaks! ), and off we go on our separate ways. In fact, you'd be wise to avoid meeting your fellow counters in the field. They might be miffed, regarding you as "poachers" on their turf, if that's where you stray. Like ornithological pirates, CBC birding teams found in foreign waters are often looked on unfavorably and with some distrust. Stay where the compiler puts you, that's my advice. If you are caught invading other turf, plead ignorance. "Oh, I thought I was still in my area" (even if it's five miles away). Or, "I'm just passing through, looking for gas" will usually keep you from walking the plank. All of those rigorous subdivisions of the typical CBC into distinct and inviolable patches sometimes means that we, the counters, don't always find out what the big picture was after the count is over. Thus, I greatly appreciate the efforts of those compilers that do promptly send all the helpers the results. Roger Troutman, compiler of the Wooster CBC, does send out the results. I just received Roger's breakdown of the count the other day. It was a good one. Twenty-nine observers tallied 86 species and a total of 15,354 individuals. This was a record-breaker; the most species ever seen in the 57 straight years the Wooster count has been undertaken. There were some great birds, too. Three species had never before been found on this count. A Least Flycatcher was nothing short of incredible. It was well-documented and photographed, too, and does seem to be that species. A winter Empidonax would seem to be more likely one of the western species; a Least is nearly bizarre. Least Flycatcher in Ohio in late October is exceptionally late; this one is off the chart. A Dickcissel that forgot to head to South America was also found; they do routinely turn up here in winter, though. And three of the pint-sized Cackling Geese were heard, then seen - Jen Sauter's and my contribution to swelling the list. In all, 134 species have been found over the course of the Wooster CBC. Thanks for sharing the results, Roger, and if you are in the market for an intersting CBC next winter, consider Wooster. Mark your calendars for March 19th, all ye plant enthusiasts. That's the date of the 8th annual Ohio Botanical Symposium. This event has become a must-do for Ohio plant afficionados, and is an outstanding way to kick off the botanical season. From its humble beginnings in a classroom at OSU with some 35 attendees, the symposium has grown like a Pokeweed, Phytolacca americana, in your garden. Last year, they filled OSU's Fawcett Center, so you'll want to get on the stick and register soon. This year's keynote address is by the author of Orchids of Indiana, Mike Homoya. A nicer and more knowledgeable bloke couldn't be dug up, and Mike's orchid images are nothing short of dazzling. 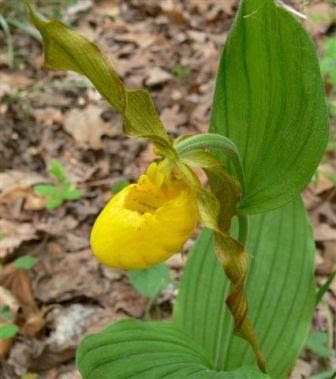 Mike will talk about this one - Large Yellow Lady's-slipper, Cypripedium parviflorum var. pubescens. We've got 'em here in Ohio, too. If you wanna see this stunner, go here. Another outrageous orchid, the Pink Lady's-slipper, Cypripedium acaule. You can also see these at Flora-Quest. There is a fine cast of other speakers, including John Jaeger, who will talk about one of Ohio's most significant and interesting landscapes, the Oak Openings. Packed with rarities, the OO is a visual feast and an Eden for the botanically inclined. May in the Oak Openings. Wild Lupine, Lupinus perennis, carpets a sandy knoll in an oak savanna. 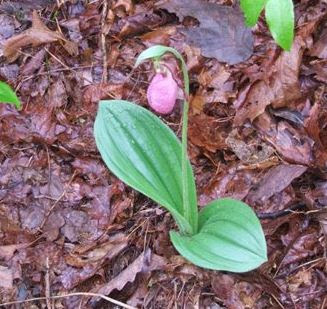 There are more rare plants in the Oak Openings than any other Ohio ecosystem. The Snow Trillium, Trillium nivale, are beginning to bloom about the time of the Botanical Symposium, and spring is rushing northward at full tilt by then. The symposium is a wonderful way to get inspired for the coming botanical season. Go here for registration info, and I hope to see you there. In my estimation, the Red-shouldered Hawk is the best-looking raptor in eastern North America. Adults are stunning, with their underparts barred with rich reddish-orange, bold tail alternated with prominent bands of black and white, and multi-toned wings with their namesake reddish shoulder patches. This is also a hawk on the upswing; good news in a world all too full of stories of declines in the avian world. A century ago, ornithologists viewed Buteo lineatus as the most common hawk in Ohio. By the early 1900's declines were already being noted, though, and through much of the 20th century Red-shouldereds plummeted in numbers in many areas. Red-shouldered Hawk data gathered during the 2006 and 2007 breeding seasons, courtesy of Ohio Breeding Bird Atlas II. Although this represents but two years - there are three more atlas seasons to go - things are looking decidedly rosier for Red-shouldereds than in the days of yore. The reason for their disappearance isn't hard to fathom. Red-shouldered Hawks are birds of mature forests, particularly lowland woods along streams and bottomlands. As rampant deforestation reduced timber in Ohio to all-time lows in the early to mid 1900's, the hawks were displaced. As Ohio's forests continue to rebound and mature, the Red-shouldered Hawk is also recovering. Many urban/suburban areas also are growing taller and greener silviculturally speaking, and the woodsiest communities are also seeing Red-shouldered Hawks moving to town. We have a number of pairs now right here in Columbus. However, Red-shouldereds are at peak abundance in the hill country of eastern and southern Ohio. There, they are often the most common Buteo. Last Saturday, I participated in the Hocking Hills Christmas Bird Count and covered a rural region east of Logan. One of the first birds that I saw was a beautiful pair of Red-shouldered Hawks, and we went on to find five more, and that in spite of a count shortened by unfortunate car problems. I think they like each other. Gorgeous pair of Red-shouldered Hawks sitting on power lines just south of Lake Logan, Hocking County. The resurgence of this magnificent raptor in Ohio is truly a bright spot in our state's bird life. Come mid-February, we're all ready for a dose of spring. It won't have quite arrived by February 16, but the Ohio Natural History Conference will. This is the 5th annual conference, and as in year's past it will be held at the Ohio Historical Society in Columbus. 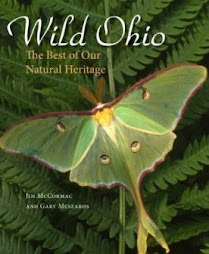 Jointly hosted by the Ohio Biological Survey and the Ohio Division of Wildlife, it will feature a variety of papers on many facets of Ohio's natural history. Anyone interested in the outdoors would enjoy the conference, and learn a lot. As with all these types of events, it's a great way to meet other like-minded people and network, too. For more details and registration, go right here. I hope this doesn't fall into the realm of shameless self-promotion - something bloggers are often noted for :-) - but I was flattered when organizers invited me to provide the keynote program. But I was more thrilled to be able to talk about some of the greatest remaining natural areas in Ohio. Legendary Cleveland-area photographer Gary Meszaros and I have a book coming out later this year that illustrates the very best places left in Ohio, and this will be the focus of my talk. Best of all, I'll get to share some of Gary's dazzling imagery in my program. Following are a few of the several hundred images that Gary and I will feature in the book. The rugged Appalachian topography of Conkle's Hollow in Hocking County. 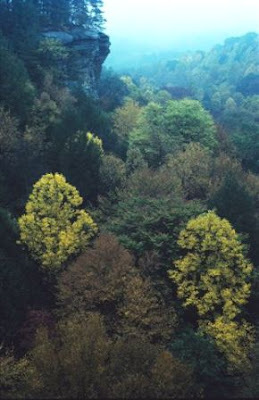 Massive sandstone cliffs rise nearly 200 feet from the floor of the canyon, creating some of the most spectacular scenery in Ohio. Biodiversity abounds, including many of our rarest nesting birds. A fern-lovers paradise, several dozen species can be found, some in lush abundance. 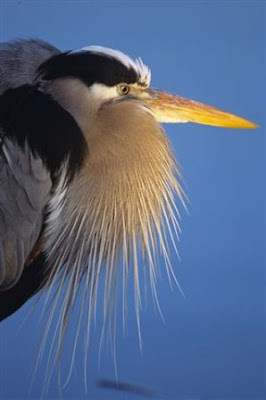 Great Blue Heron, a species that we sometimes overlook because it is so common. A close look reveals beautiful details the cursory eye won't catch. As a young kid, these primeval birds engaged me in natural history, probably more than any other animal. I was fascinated by their huge size, Neanderthal croaking, and incredible fishing ability. 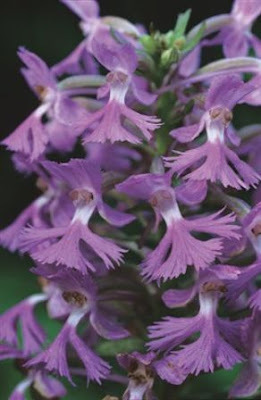 Purple Fringed Orchid, Platanthera pyscodes. Almost shocking in appearance, this is one of the rarest of Ohio's forty-six native orchids. A botanical quester needs to know where to look, and must brave mosquito-choked swamp woods for the privilege of admiring this beauty. The specific epithet of the scientific name, pyscodes, means "butterfly-like". With a bit of imagination, perhaps, and maybe that's what leapt to Linnaeus's mind when he named it. To most, though, it is the rich magenta hue of the flowers that stop one in their tracks. 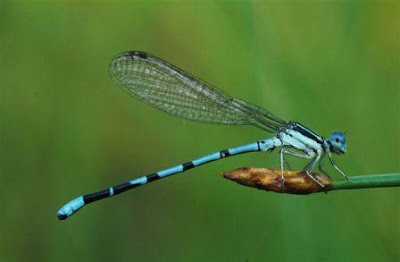 One of our smallest dragonflies, the Seepage Dancer, Argia bipunctulata. These Lilliputian carnivores are only known from a few pristine fens in Ohio. This one, quite appropriately, is perched on Walking Spikerush, Eleocharis rostellata, a sedge that forms the dominant biomass in many fen meadows.